LANSING, Mich. — Sen. Jeff Irwin (D–Ann Arbor) took the oath of office today to serve the citizens of Michigan’s 18th Senate District. “I am honored that the voters of the 18th District placed their trust in me to represent their interests in the Michigan Senate. 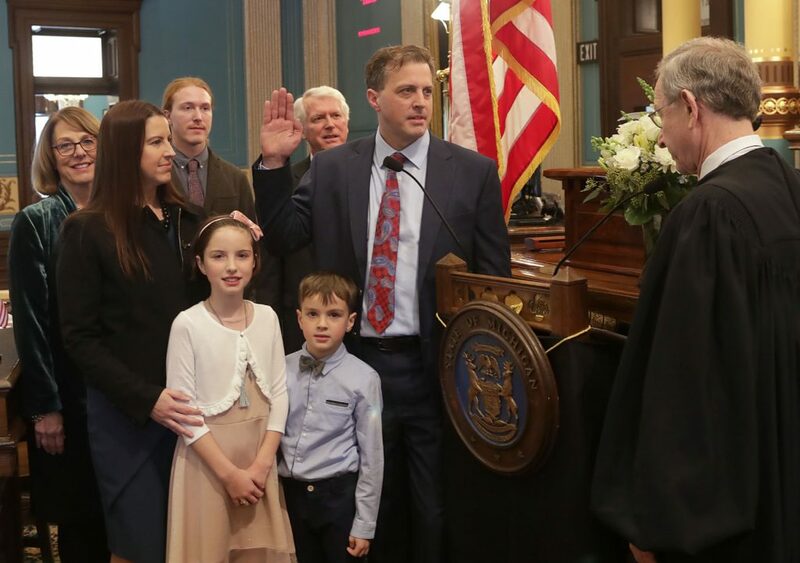 I look forward to working hard to validate that confidence and in accordance with the oath of office that I took today in Lansing,” Sen. Irwin said. Sen. Irwin begins his first term in the Michigan Senate with his Chief of Staff Desmond Miller, Legislative Director Brad O’Furey and Legislative Aide Annie Somerville. The 18th District is in Washtenaw County and includes the cities of Ann Arbor, Milan (portion), Saline, and Ypsilanti, and the townships of Ann Arbor, Augusta, Pittsfield, Salem, Superior, York and Ypsilanti.